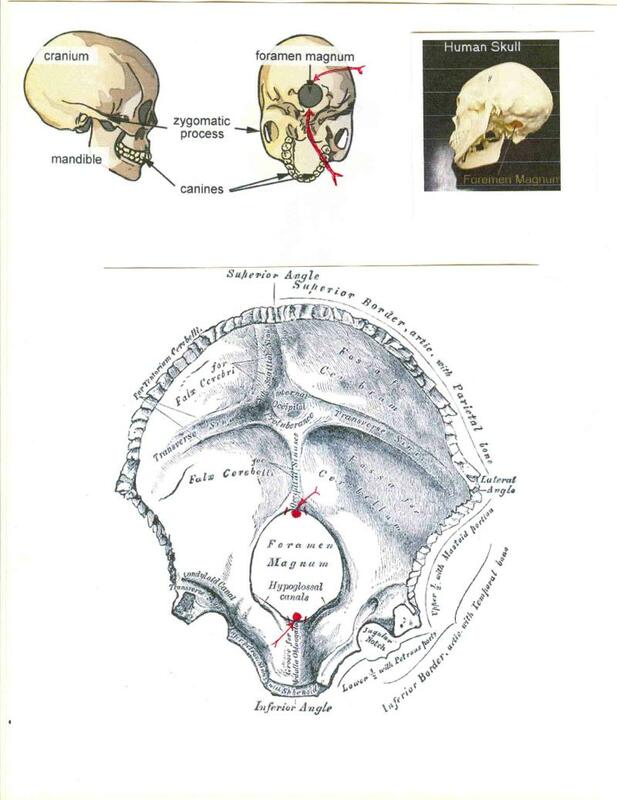 As a result of expert analysis it is believed that the actual female victim's skull will possess "chips" or signs of intrusion ie; "post mortem trauma" in the anterior and posterior areas of the "Foramen Magnum" as indicated on the following images with red arrows and dots. 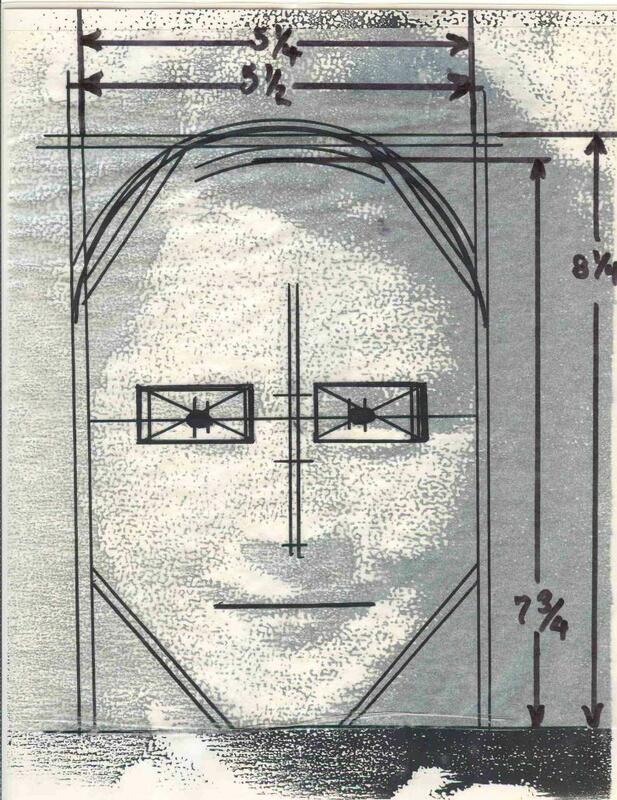 As a result of photo overlay analysis of the female victim, it is believed the following lesser measurements as indicated below are very closely compatible to what the measurements to what the actual female victim's skull would be. 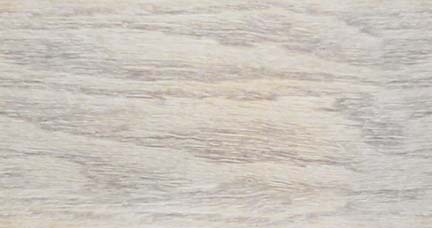 *NOTE: the lesser measurement calculations allow for the lack of soft tissue, while the larger measurements allow for soft tissue. 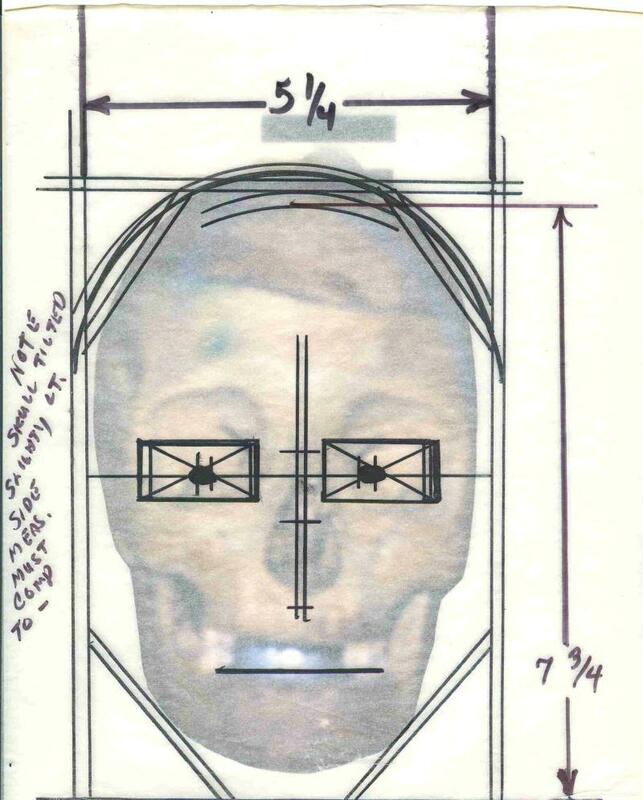 Below is an overlay facial mask, of the female victim, which has been placed over the actual skull, from the exhuming, which was returned to the Reed family. NOTE: the significant mismatch of the eye orbits and over all measurements in general.